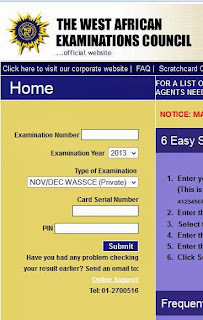 Share Expy Multimedia: 2013 WAEC GCE Result is Out: How to Check. 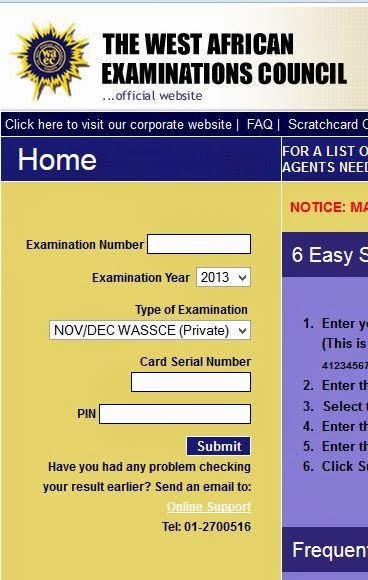 2013 WAEC GCE Result is Out: How to Check. This is to inform the general public and especially, candidates that participated in the 2013 West African Examinations Council (WAEC) GCE November/December that their results have been released. 2013 WAEC GCE Results have been successfully uploaded online and it is accessible from the WAEC result checking portal. Candidates need to purchase the WAEC result checker to be able to access their results. 1. Go to WAEC result checking portal @ www.waecdirect.org. 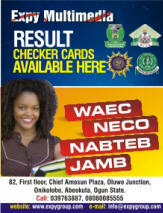 Call 08080085555 if you want us to sell WAEC/GCE result checker card to you at the rate of N800. 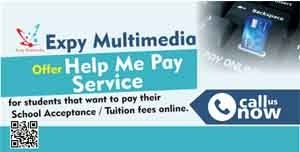 Click here on how to make a payment of N800. After payment, send notification “WAECresultcard”, "The Name You Use to Pay into Our Bank Account" and "The Teller Number" To Our Phone Number or Email Address. 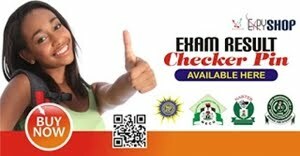 You will get the WAEC Result Checker Scratch Card details immediately after we confirm your payment. Labels: 2013 / 2014 WAEC Result, buy WAEC Result Checker card, How To Check WAEC/GCE Result, WAEC/GCE Result.